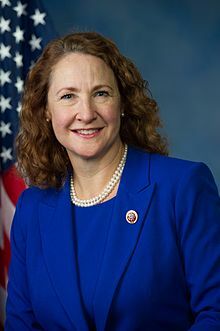 Elizabeth Esty , entered Congress with the 2012 elections, as an (Connecticut Democrat, District 5). She was formerly a State Representative from Connecticut. In the House, Esty is seen as a leading voice of her Sophomore class. She serves on the Science, Space and Technology Committee and the Transportation and Infrastructure Commiteee. Esty spent time in Israel as a student studying foreign relations and is deeply supportive of a two-state solution. 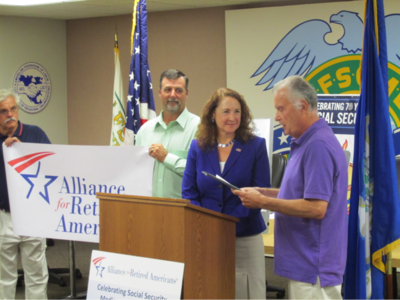 The Alliance for Retired Americans Political Action Fund endorsed Elizabeth Esty in 2014, also 2012. Today, the National Alliance for Retired Americans announced their endorsement of Elizabeth Esty for Connecticut’s 5th Congressional District. The endorsement was announced at a celebration of Social Security’s 79th anniversary at the AFSCME Council 4 office in New Britain. The Alliance for Retired Americans represents over 4.3 million retirees and community activists across the country, including more than 72,000 in Connecticut. Communist Party USA member Maxwell Goldman was Field Director, Friends of Elizabeth Esty, September 2016 – Nov 2016. ↑ AFSCME, "A good day for the middle class"
This page was last modified on 23 June 2017, at 01:52.